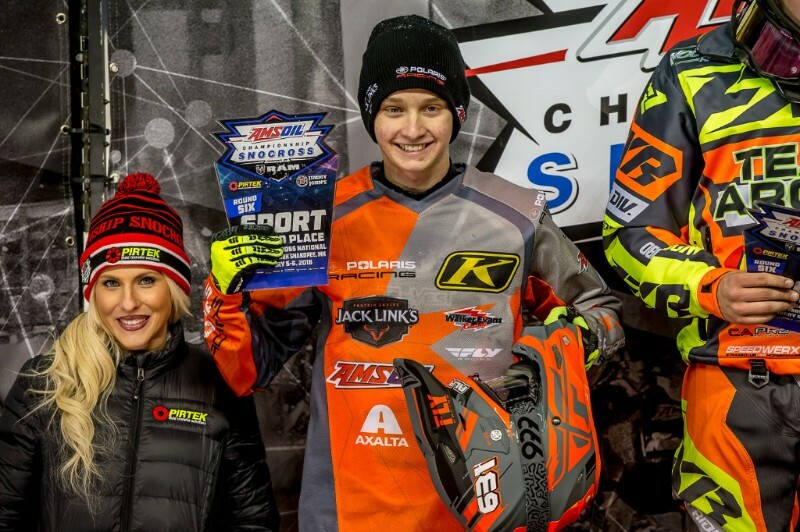 Duluth, MN (January 8, 2018) – Carson Alread raced to his first Sport class podium of the season at Canterbury Park in Shakopee, Minnesota and the entire Judnick Motorsports team made huge strides as the AMSOIL Championship Snocross tour heads into the heart of the 2018 season. Alread jumped to the front of the pack early in Saturday’s main event running in second place. As the laps wore down, Carson closed the gap on the leader and came up just 1.25 seconds short of the win. On Friday Alread came off the track in his first heat race which forced him to start the main event from the back row. 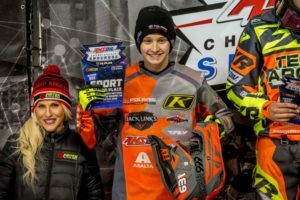 Sub-zero temperatures and lingering snow dust severely hampered visibility deep in the pack but he was able to advance a few positions to finish 11th. As a result, Alread moved up to the sixth spot in the Sport championship and is back in the title fight, just 20 points out of the top 3. Jake Angove equalled his best finish of the season with a seventh place on Friday. Angove has continually improved on his starts and is working on maintaining his speed in the longer 20 lap finals. An eighth place finish on Saturday gave Angove his best two-day performance of the year with a goal becoming a regular top five finisher not out of reach. The team will have one week off to test before heading back west to the Deadwood Shootout in South Dakota, one of the most popular venues on the tour.